We hope that you have been able to find all the relevant information that you were looking for. When it comes to choosing the dental office to work with, for someone to care for you and your family’s mouth, we know the decision is not an easy one and that there are lots of options. 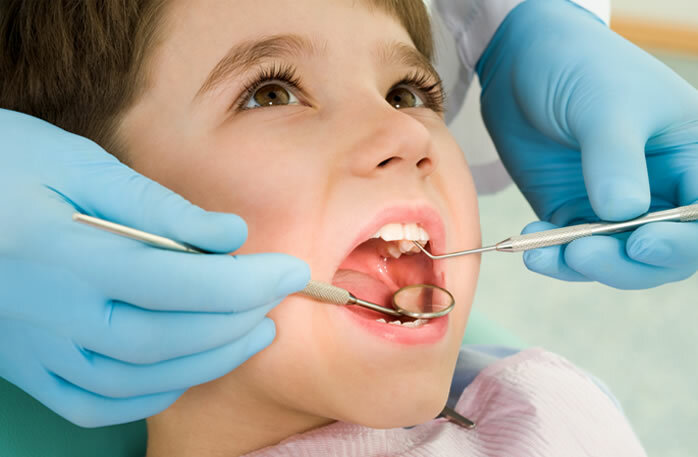 We are the premier pediatric dentist in Boca Raton, and are proud that our current clients provide plentiful ratings and reviews of our services online. One of the main focuses of our practice is that we go beyond our actual expertise to provide a welcoming environment. We have trained our staff to deal with complex dental insurance procedures and in the ways of providing the most welcoming environment for our clients and their families. Dealing with dental health insurance is no fun, but our staff is proud to do their absolute best in extracting the most resources for your dental care. If you do not have an insurance provider or any dental plans, they are also skilled in creating a payment system that allows you to not only receive the care that you need when you need it, but also to pay it off in a reasonable and timely manner. What are our most popular dental procedures? Each and every day we see customers who take exceptional care of their teeth, and others who don’t take such good care. Either way, accidents happen and while teeth are very strong, they can become broken, or require some advanced treatment that is not due to your shortcoming in maintenance. Tooth crown. When replacing a lost tooth or broken tooth, this is one of the most cost-effective and minimally invasive procedures. Most of the people you know most likely have some form of tooth crown and cap. Root canal. A root canal is a common procedure at must be done when the interior of the tooth comes weak, decayed, or otherwise needs to be removed. With anesthetics and cutting edge technology, a root canal is a quick and simple procedure. Dental implants. When a tooth is removed, either due to decay or trauma, a dental implant is one of the best solutions. Used to fill in just one or a few missing teeth, a dental implant is affixed to the jawbone via the gums. Dental implants can look even better than the natural teeth you were given! Tooth extraction. Often times people will have impacted teeth, meaning a new tooth growth will cause the rest of the teeth to shift and change the way they are aligned. This is a case when we would suggest wisdom teeth removal, especially in those young adults who do not have the space to afford four new adult molars. Teeth whitening. For a more aesthetically pleasing smile, we offer a multitude of bleaching and cleaning services. This is the most common procedure in cosmetic dentistry. Veneers. These thin sheets of porcelain are an excellent way to mask an otherwise unpleasing or stained tooth or set of teeth. This is the most expensive, yet the most attractive way to improve the look and feel of one or many teeth, and lasts longer than bleaching teeth. In addition to providing these complex restorative procedures and cosmetic treatments, we also teach and educate our clients on how to properly maintain their smile. Habitual care with daily attention will help you avoid things like gingivitis, gum disease, and toothache. The more that you care for your teeth on a daily basis the higher the chances that you will stay out of an emergency dental situation. 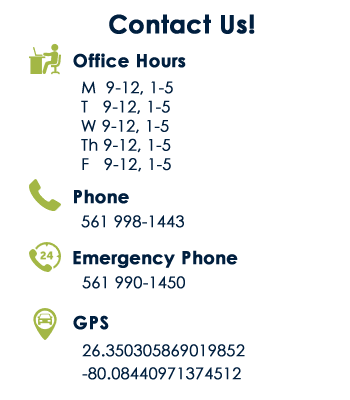 Not having to scour the Internet during out of office hours, looking for an emergency dentist is our goal. So what are you waiting for? Contact our office and see if we meet your standards. We are conveniently located in Boca Raton, and expect to see you in shortly. To reach us, fill in the form on this page and we will contact you shortly regarding your inquiry.